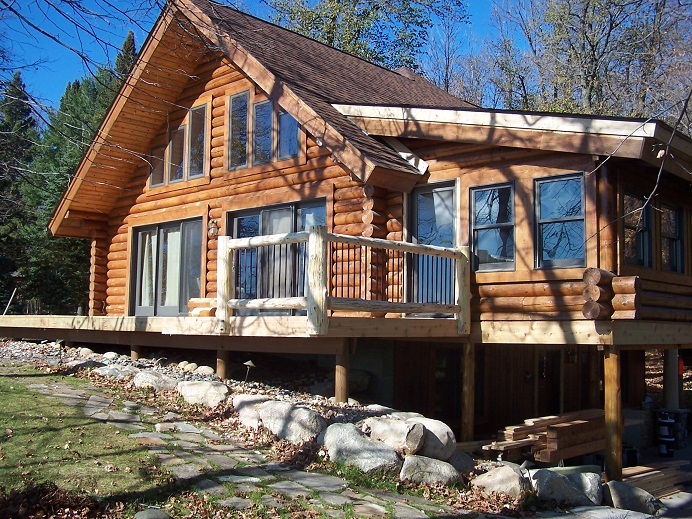 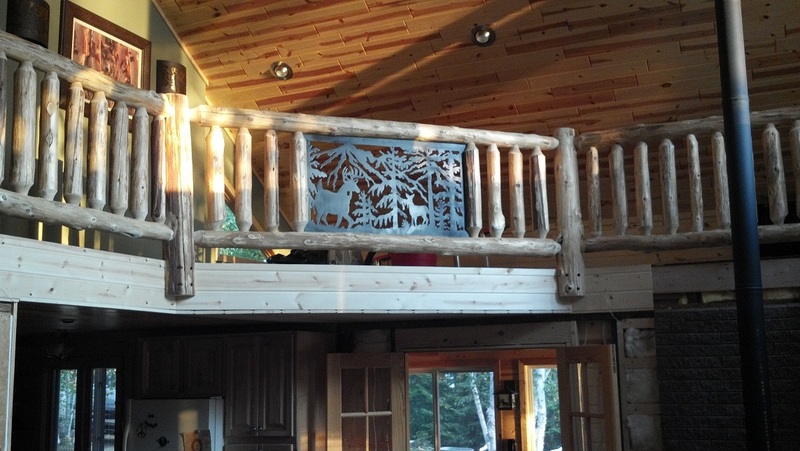 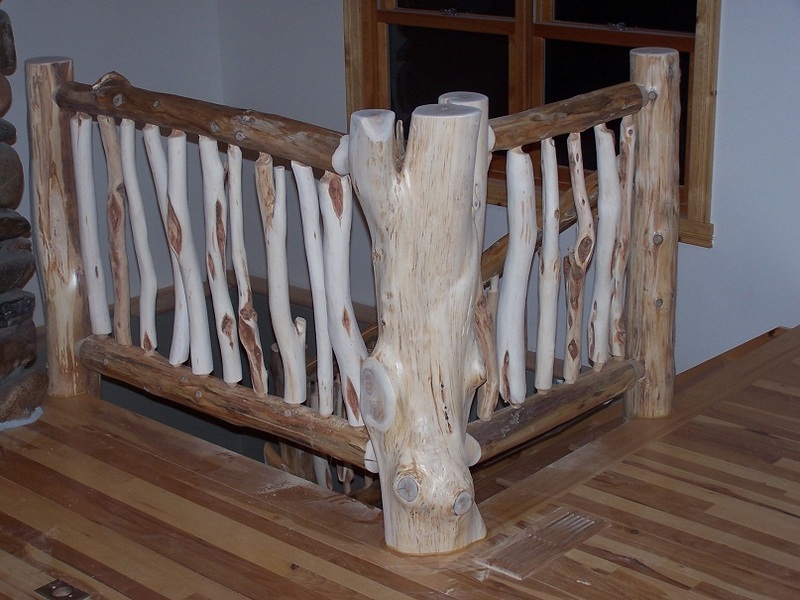 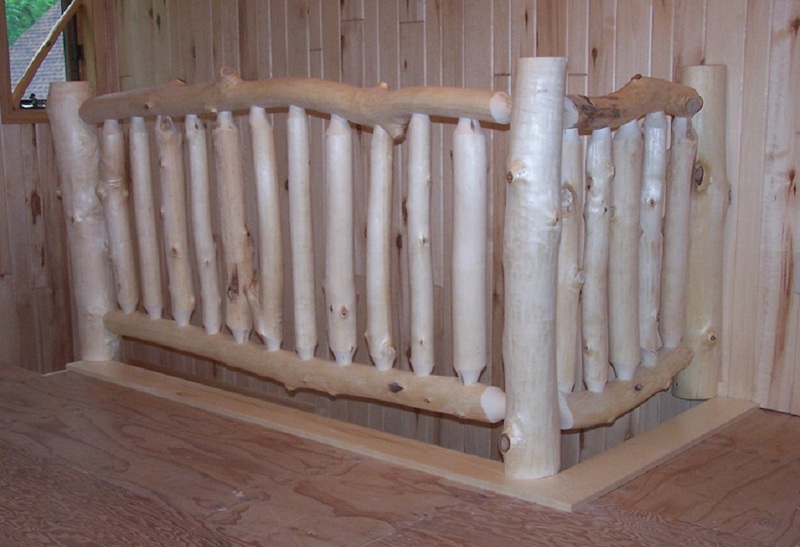 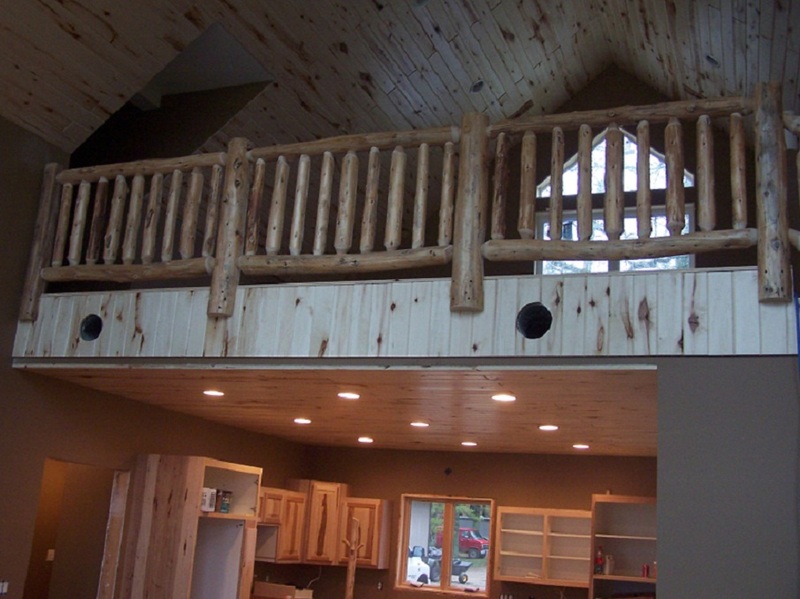 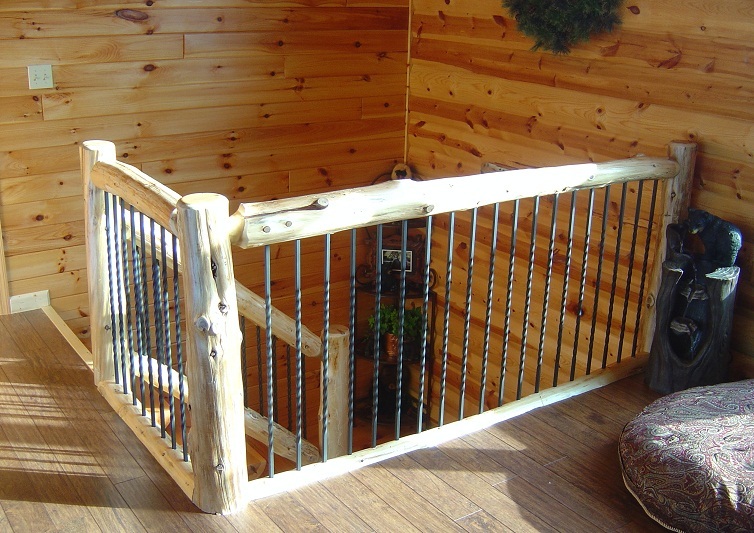 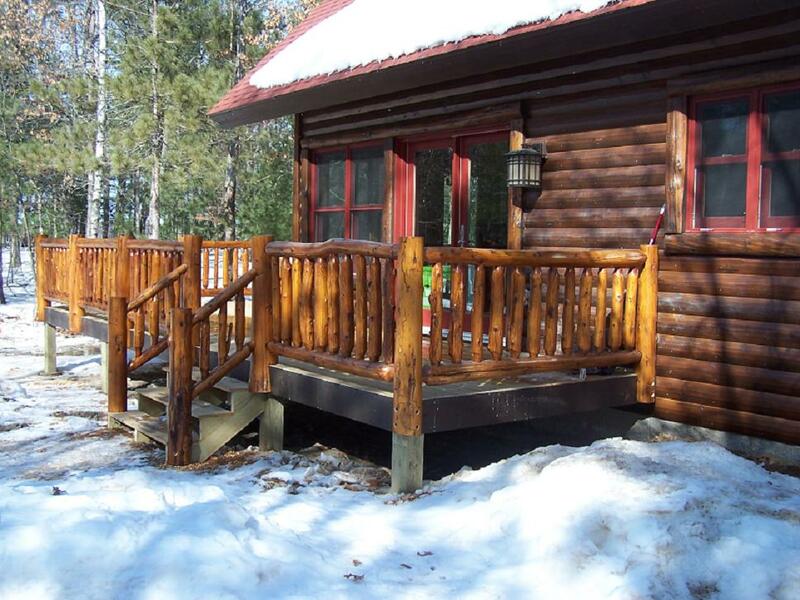 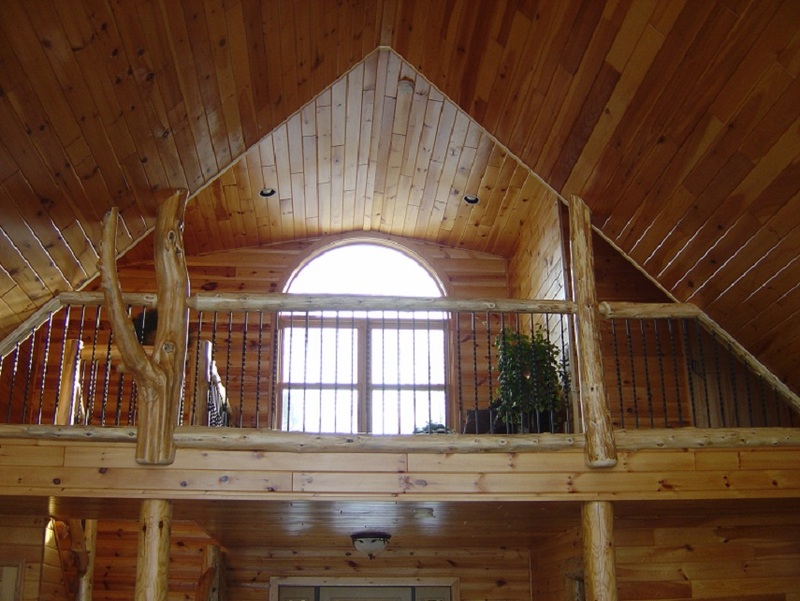 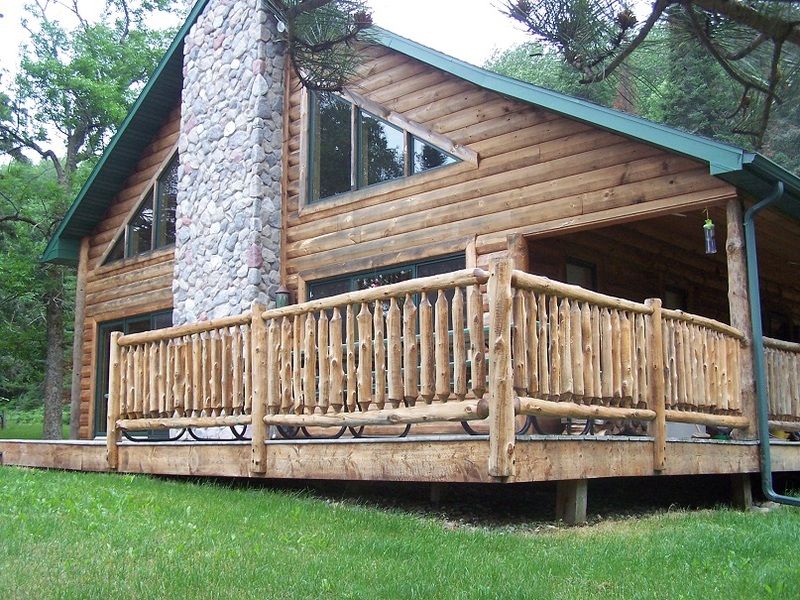 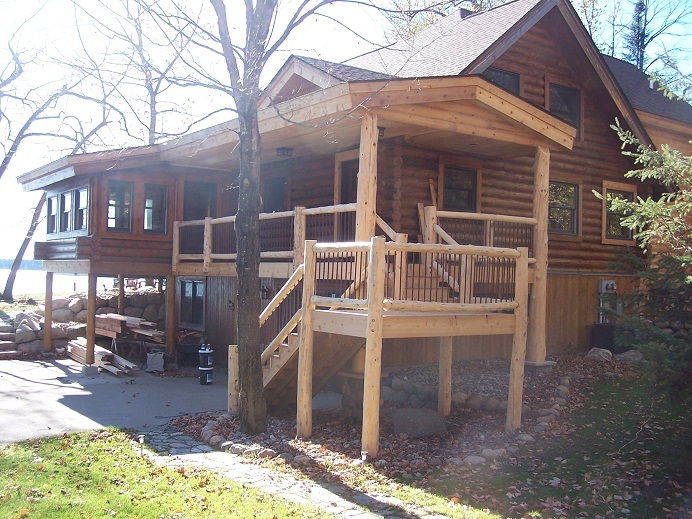 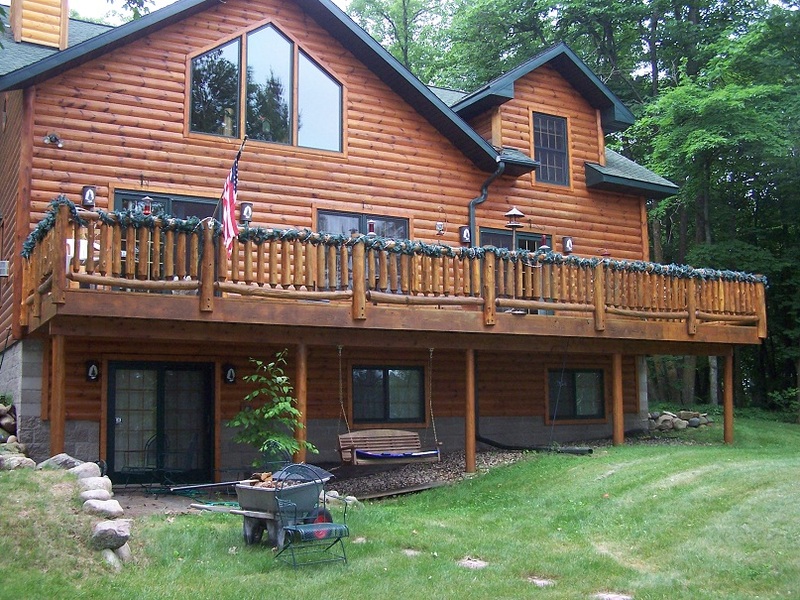 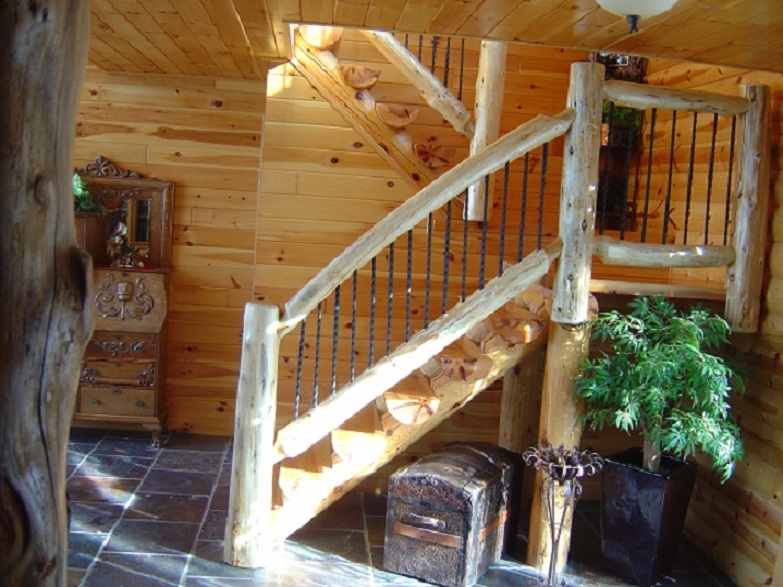 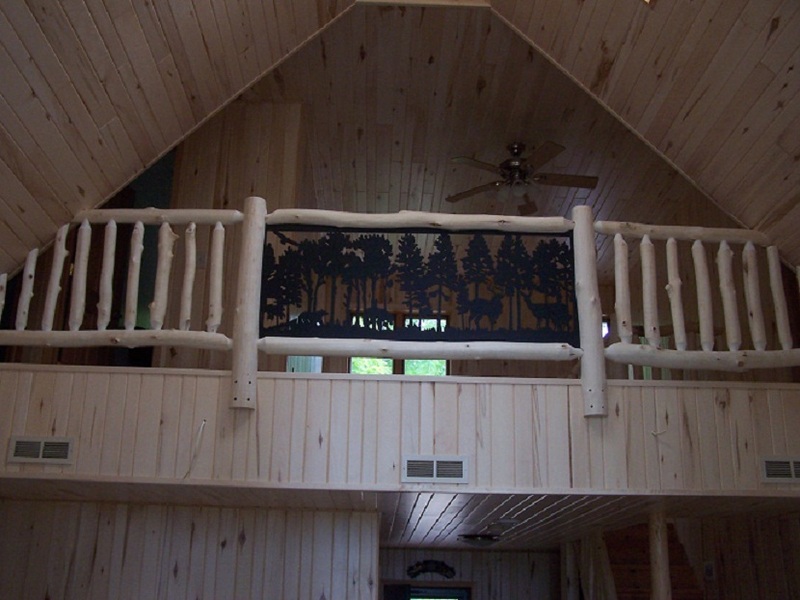 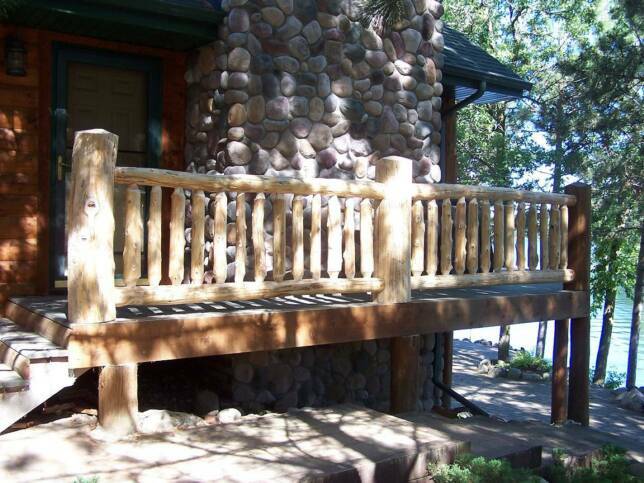 We take a great deal of pride in creating the highest quality railing and combining that quality with reasonable pricing. 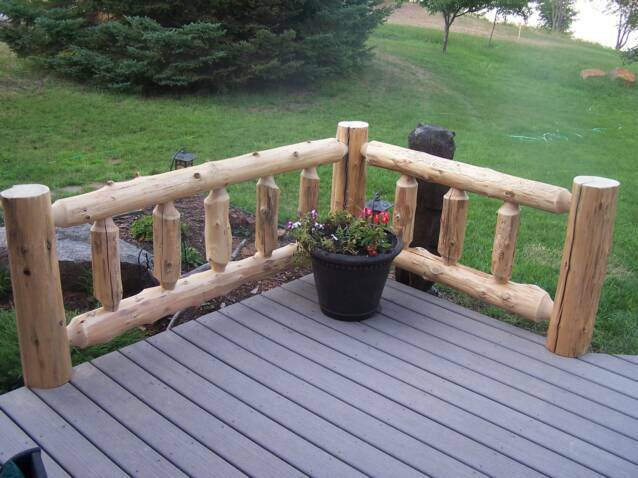 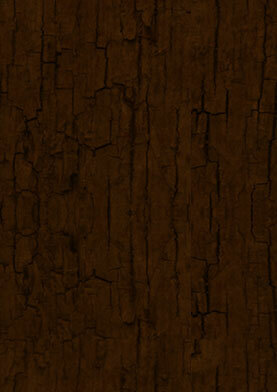 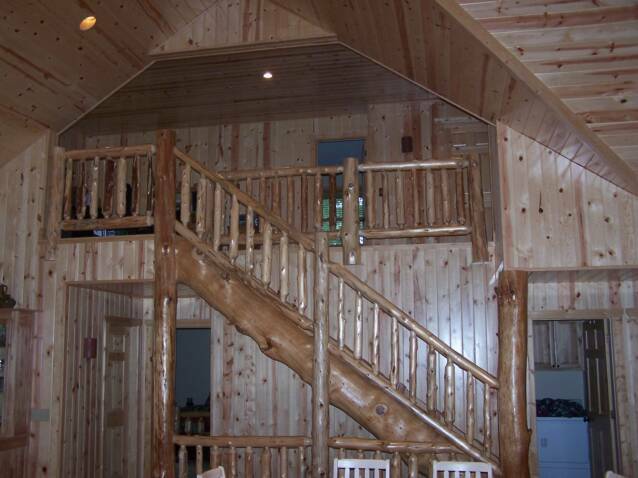 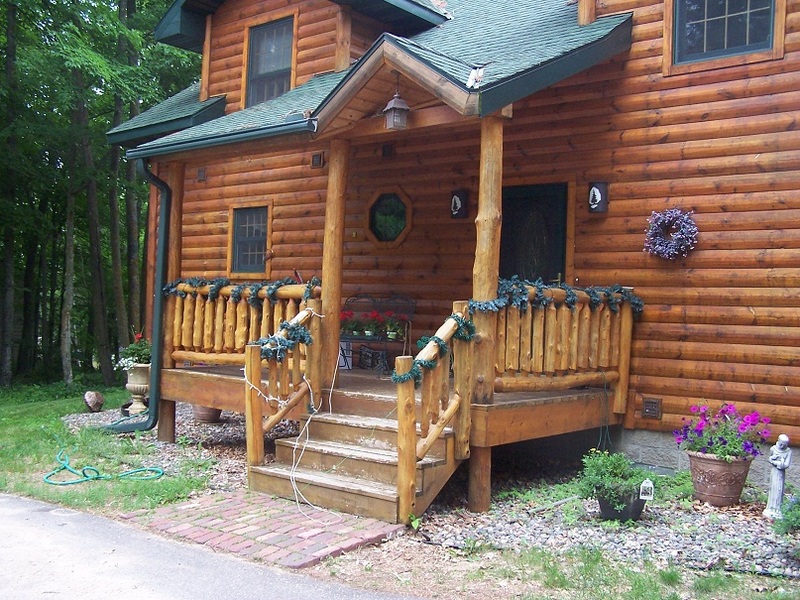 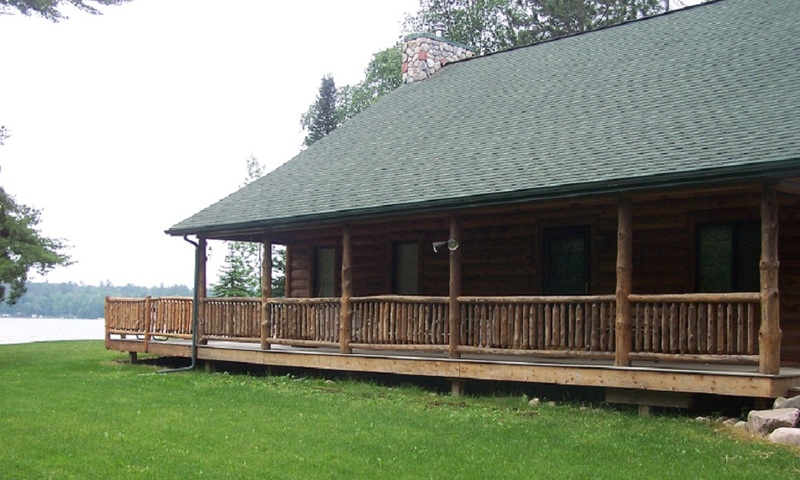 Our logs are all selected based on their quality and character. 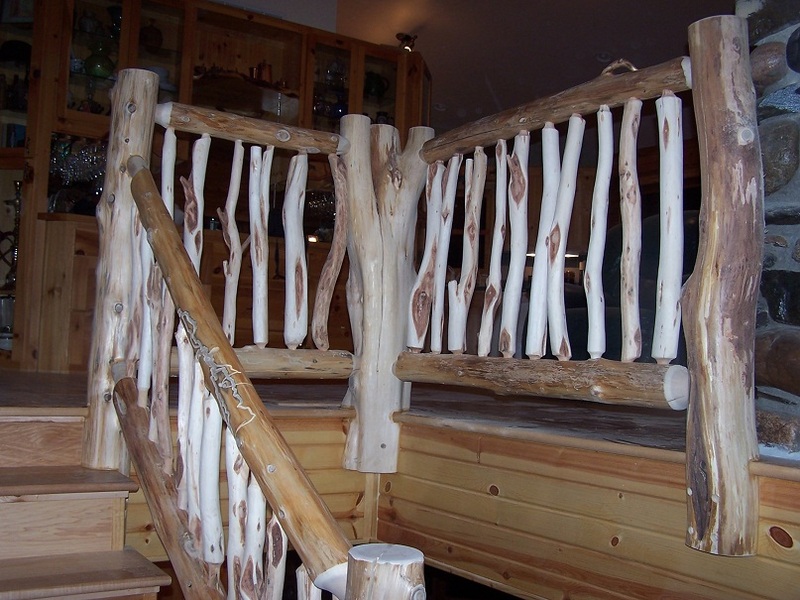 Once back at the shop, they are hand peeled, pressure washed, then kiln dried giving us the best quality wood to build your railing from. 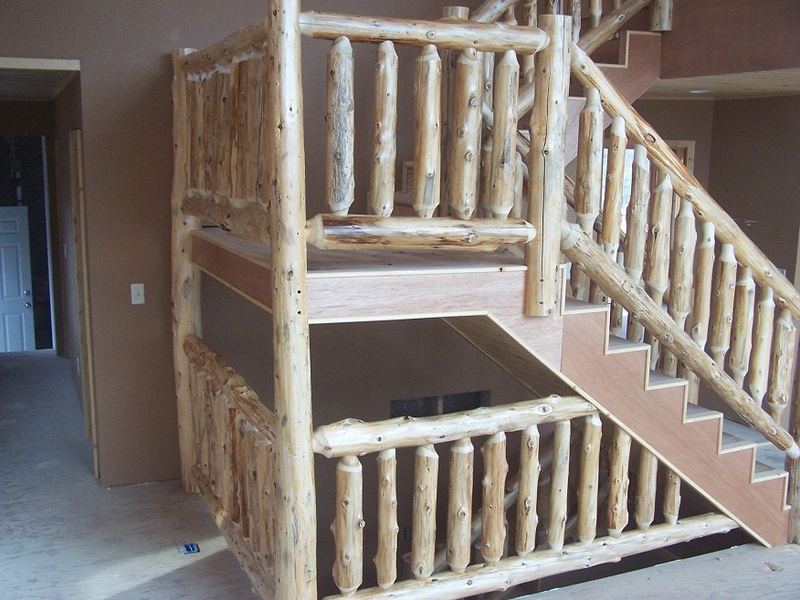 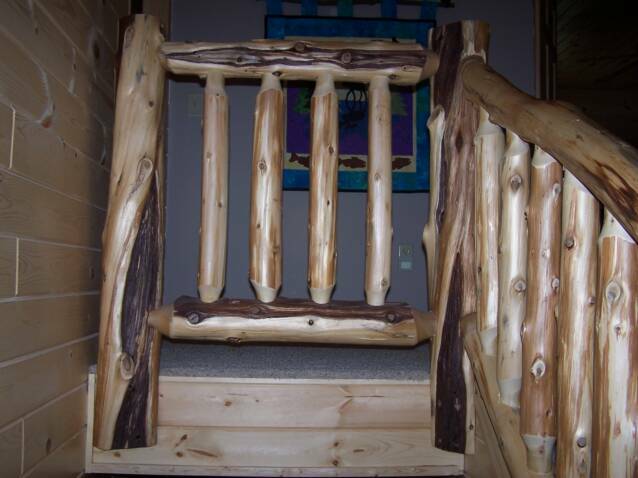 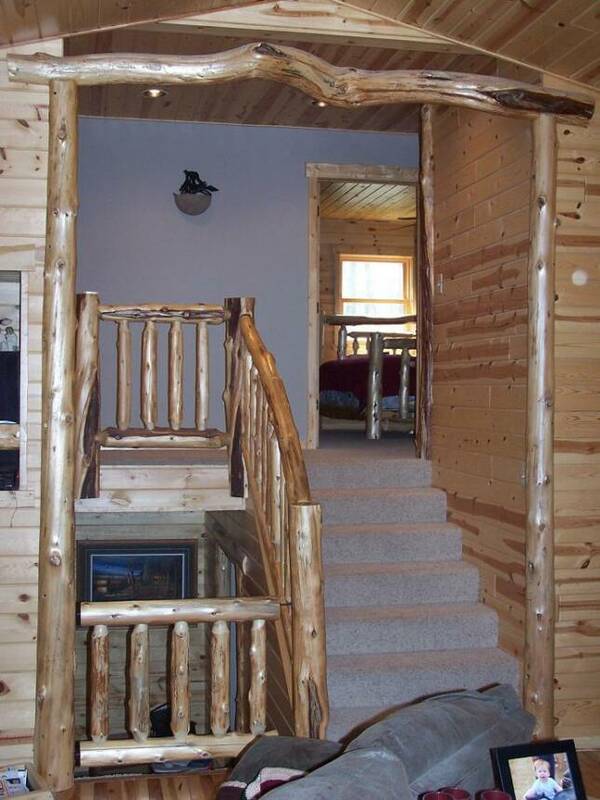 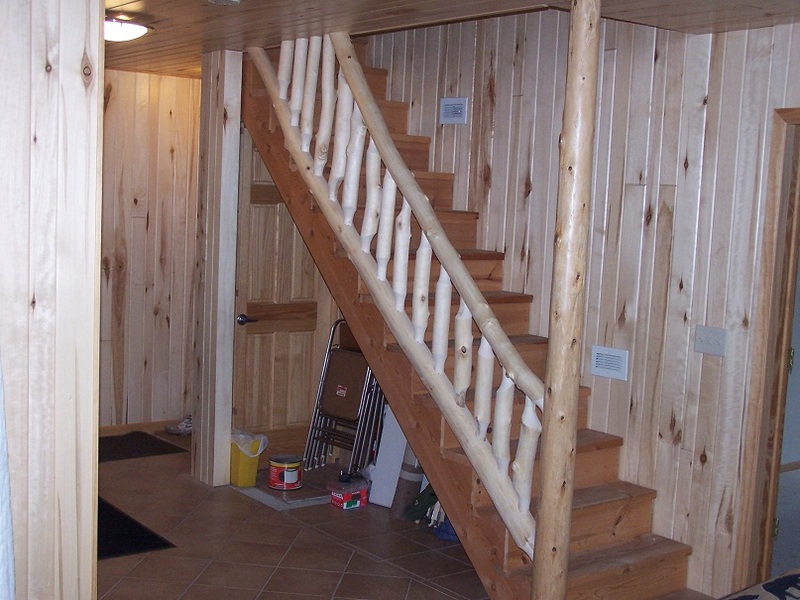 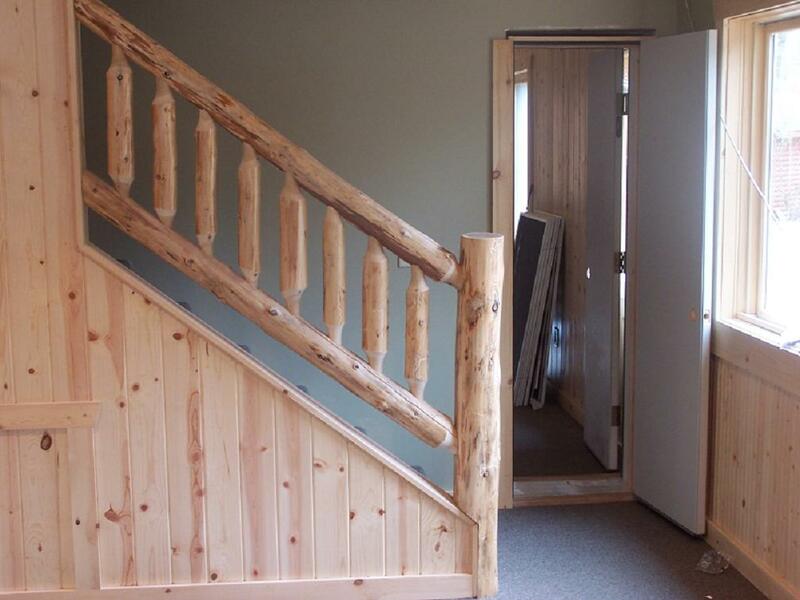 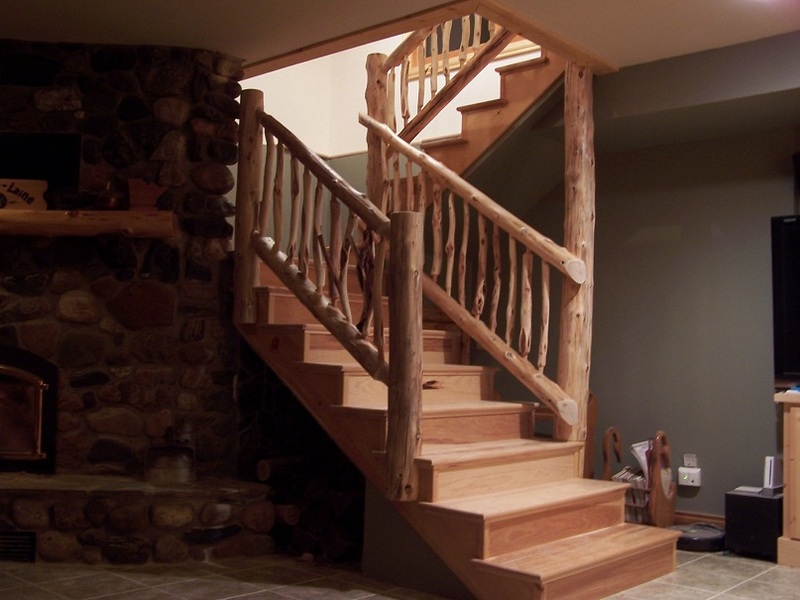 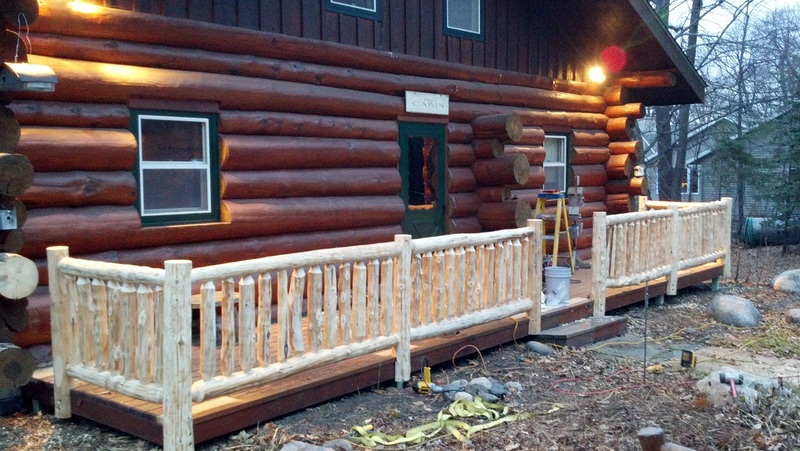 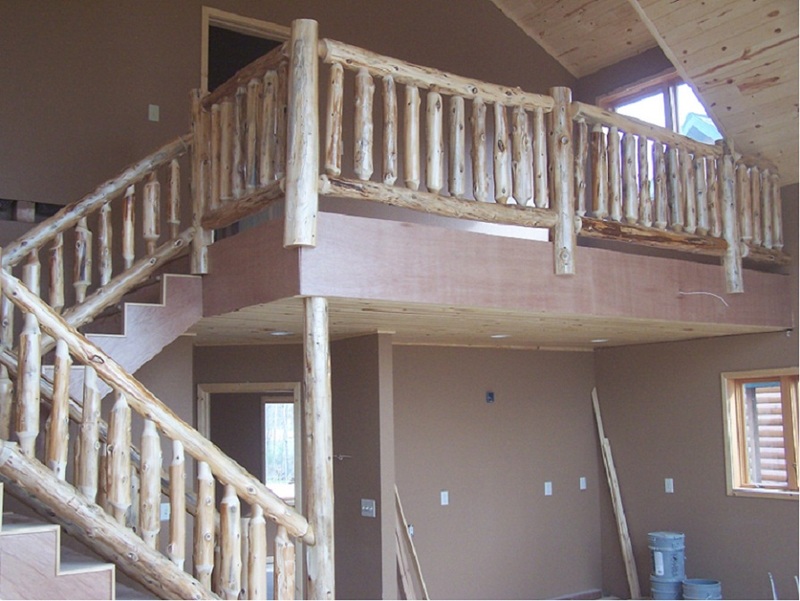 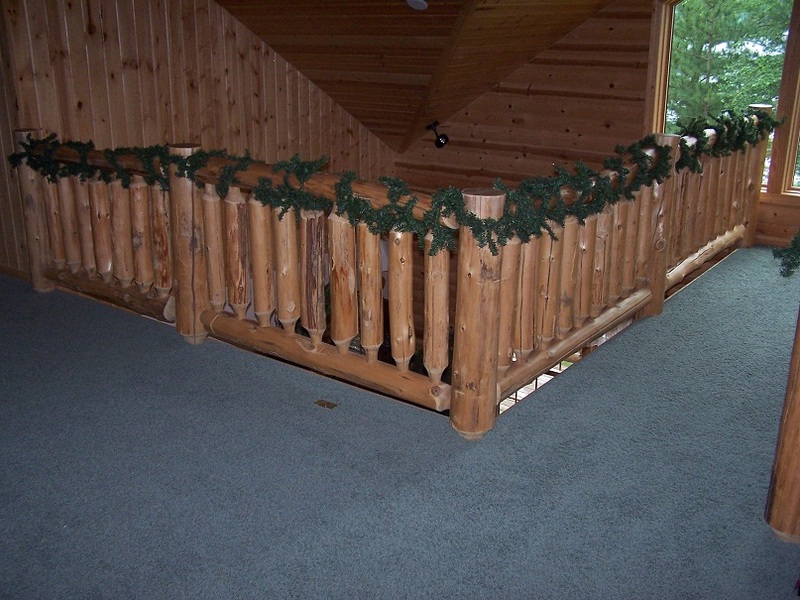 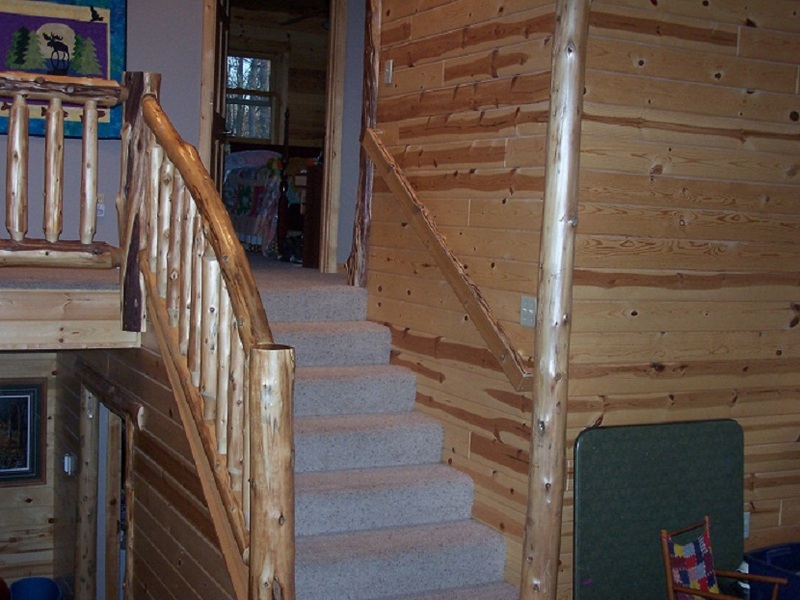 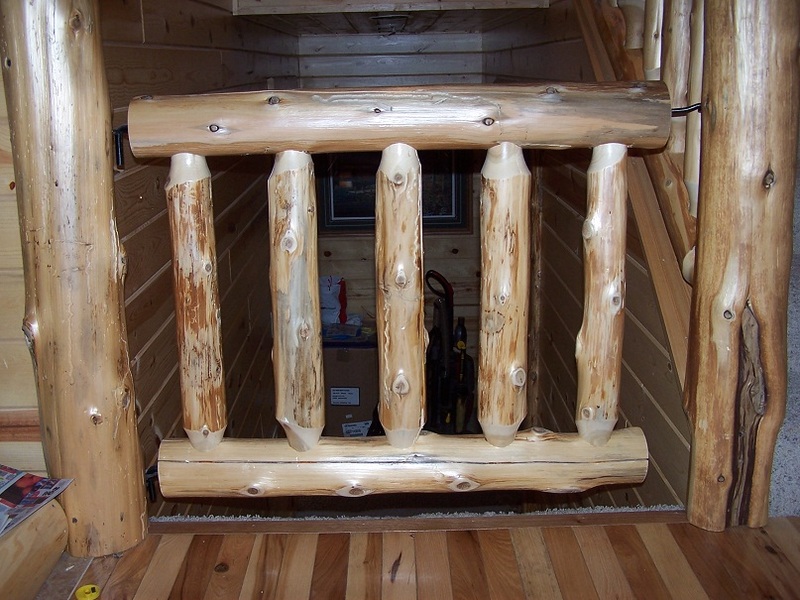 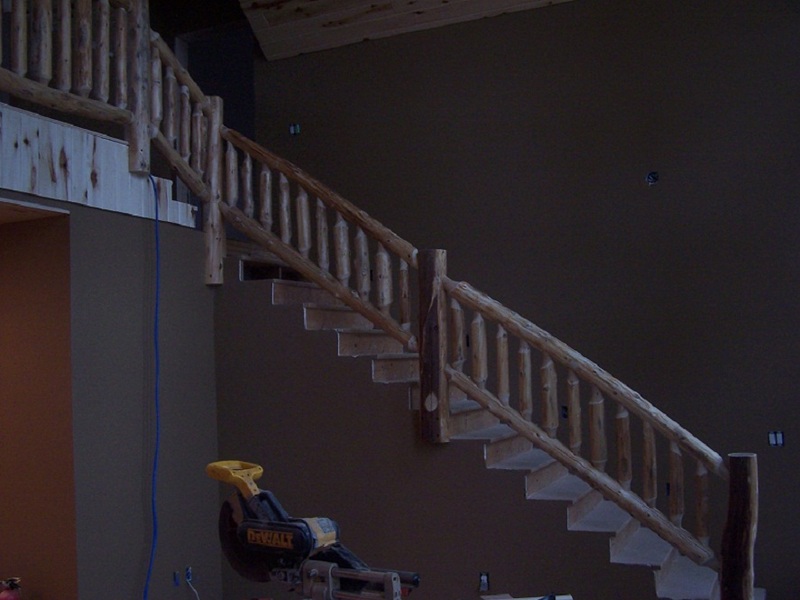 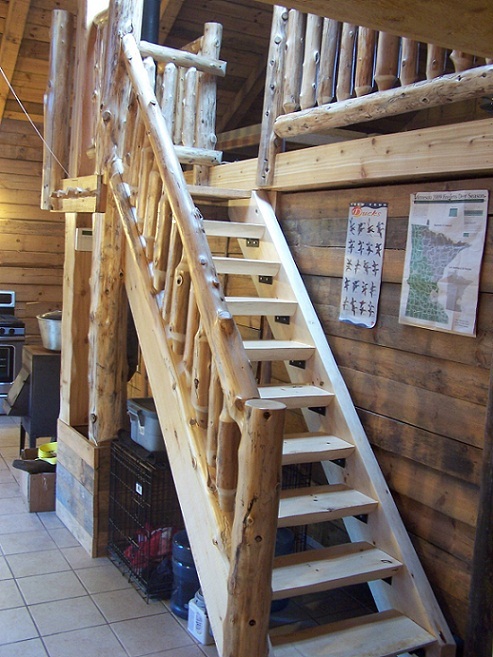 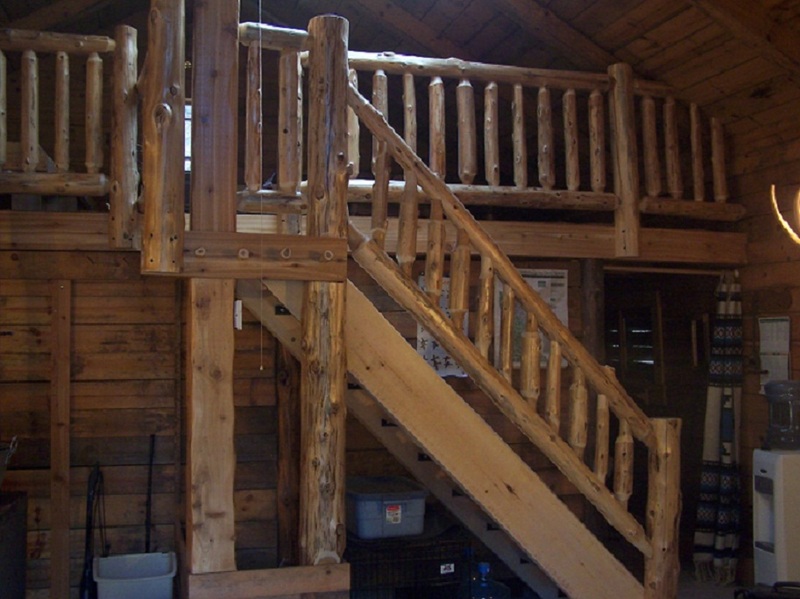 When we install your railing, each component, including the spindles, is measured and cut to fit. 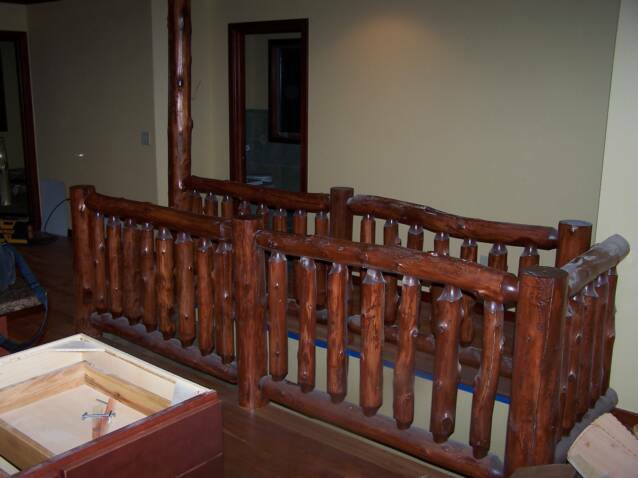 If you would like to install your own railing, we can supply you with all the railing components you will need along with instructions to get the job completed. 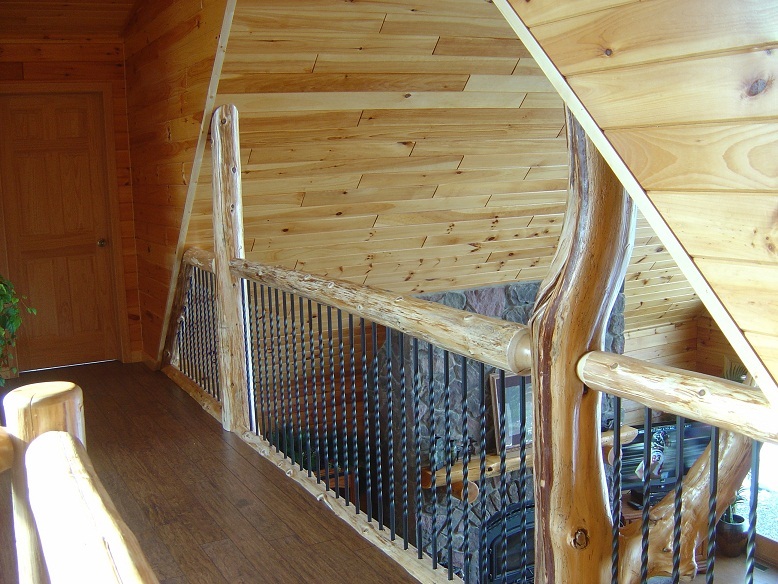 metal inserts to include your personal touch in your new railing. 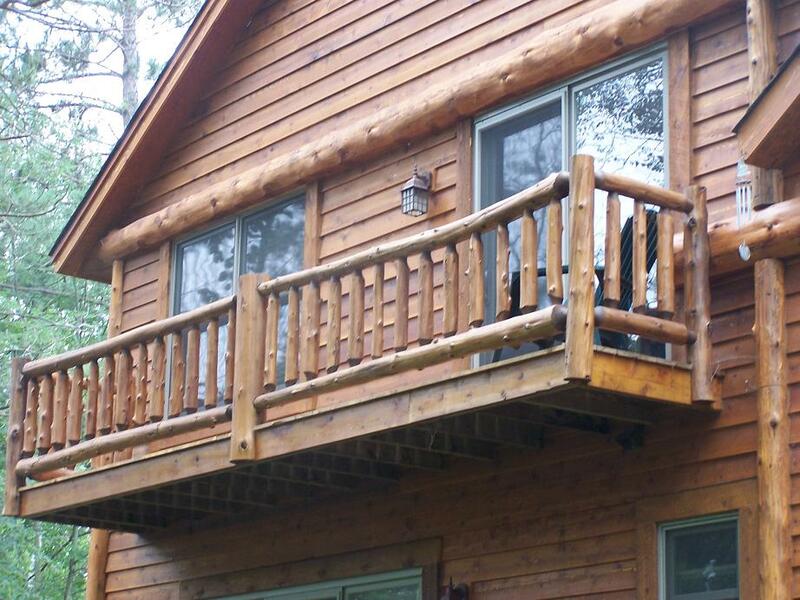 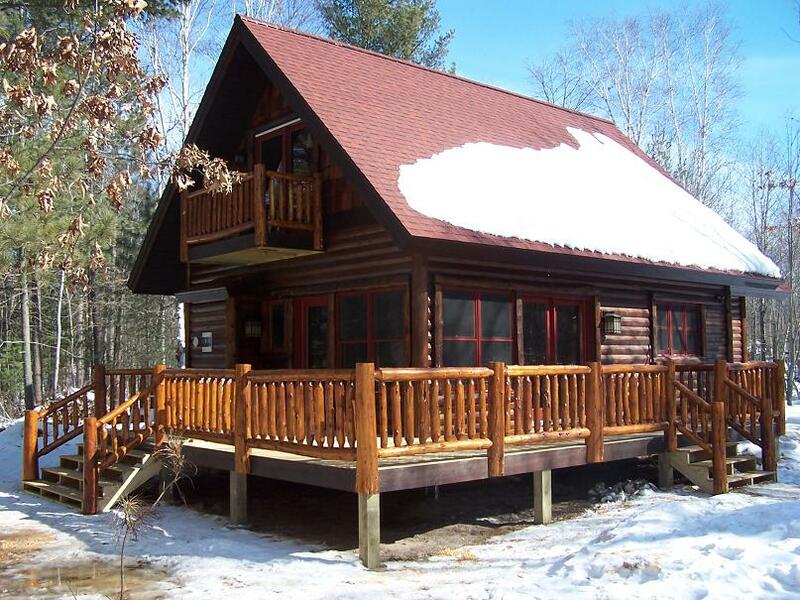 Feel free to call 218.821.3050 or email us with any questions you may have.